This type of Capacitor Discharge (CD) pin is welded through the insulation, allowing the fabrication to be done in one easy step. 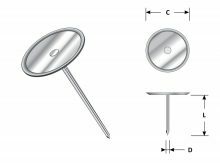 The head of the pin is attached to the nail, so there is no need to add a washer. Reduced labor time – Neat, finished appearance. Available as Mini-Cup (MC) or Full-Size Cupped Head (CH) Style, with a beveled head. Flat head available as a special order. 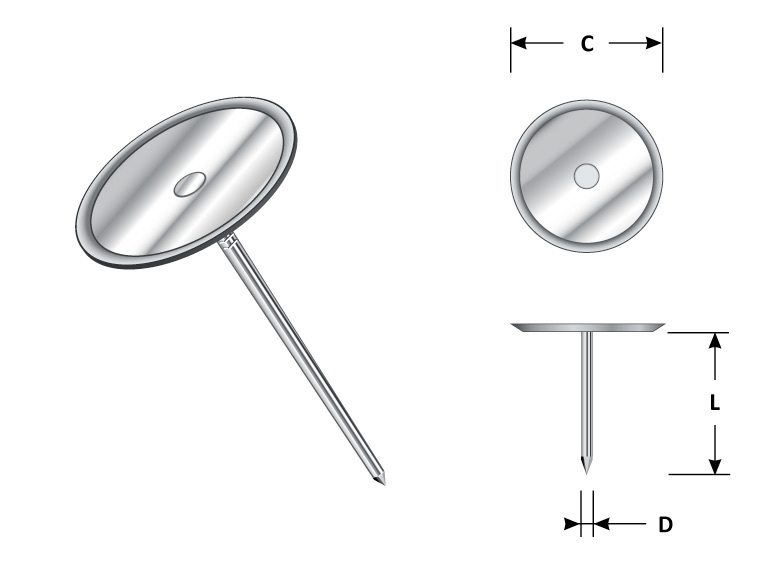 Pins are also available “insulated” for welding through foil-faced materials to prevent arcing on the foil facia. Longer lengths available as special order. Length of pin to be used is determined by the thickness, density & composition of the insulation being installed. Part No. D C Length Part No.